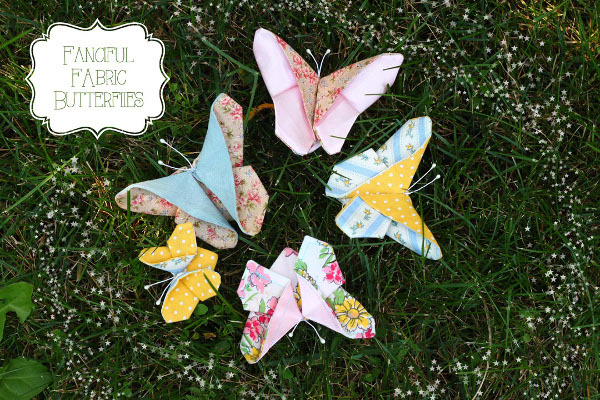 With a few fabric scraps and a little simple sewing, you can create some of your own beautiful fabric butterflies to use in your crafting projects. Darice Stamen Pearl White, or Black. I made two different sized butterflies; the larger ones have a wing span of about 4-inches, and the smaller ones about 2-inches. To make the larger sized butterfly, cut two rectangles of fabric 4 1/2 by 6-inches. 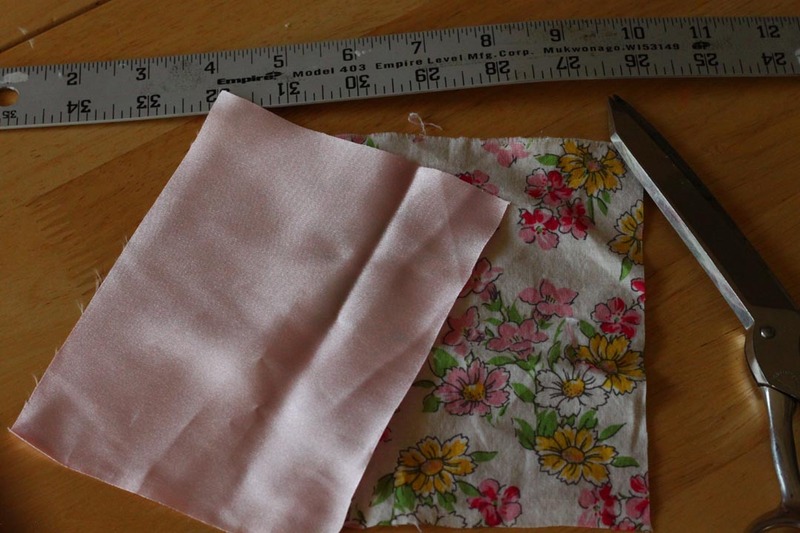 To make a smaller butterfly, cut two rectangles of fabric 3 by 4-inches. Place the rectangles so the good sides are facing each other, and pin together. 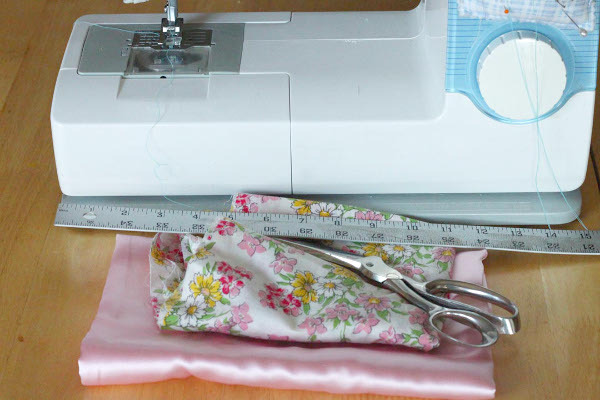 Sew all around the outside edge, no more than 1/4-inch from the edge, leaving a 1-inch gap to turn the fabric pieces right side out. Clip the corners, and trim the edges of the rectangle. Turn the rectangle right side out, and use the pointed end of the pencil to help carefully push out the points of the corners. Press flat with the iron. If you so desire, top stitch all along the edge with contrasting colored thread for decoration. Turn your fabric rectangle so it is in a vertical position, and then do the following steps, while using the pictorial directions for reference. Press with the iron after each step to hold the creases. 1.) Fold the rectangle in half top to bottom. Whatever side of the rectangle now shows will be your butterfly’s main color. 2.) Fold in half again from side to side. 3.) Open back up the fold you just made. 4.) Pull the right corner of the rectangle down toward the middle fold. 5.) Squash fold the right side of the rectangle into a triangle. 6.) 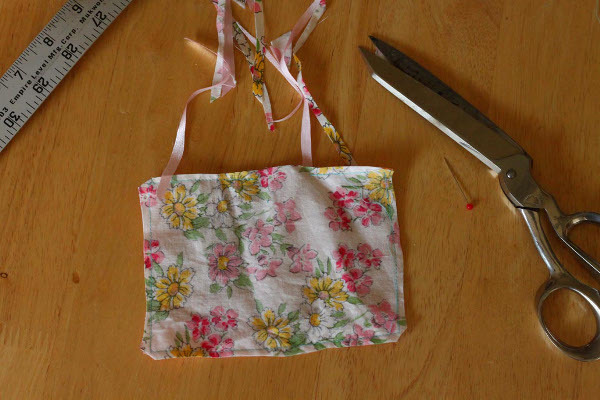 Turn over the folded fabric, and squash fold the other side, so your rectangle is now a triangle shape with two flaps on the bottom. 7.) 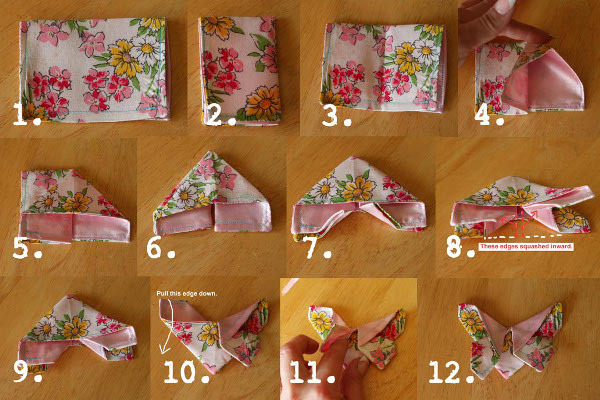 Fold the middle of both flaps (both layers) upward so they touch the bottoms of the triangle. 8.) Open the folds you just made, and push the middle fold of the flaps toward the inside. 9.) Give it a good press at this point. 10.) 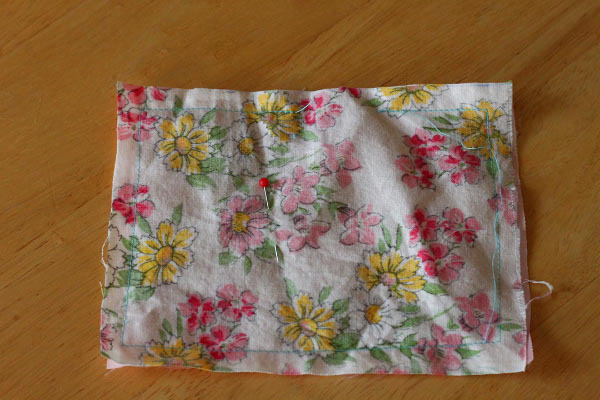 Turn the folded fabric so it is positioned with the point facing toward you. Bend the front layer of one of the flaps down toward you to form the first wing. 11.) Bend the other flap toward you, like the first, to form the second wing. 12.) Press your finished butterfly flat. Fold a stamen in half to form a “v.” Fold your butterfly in half. 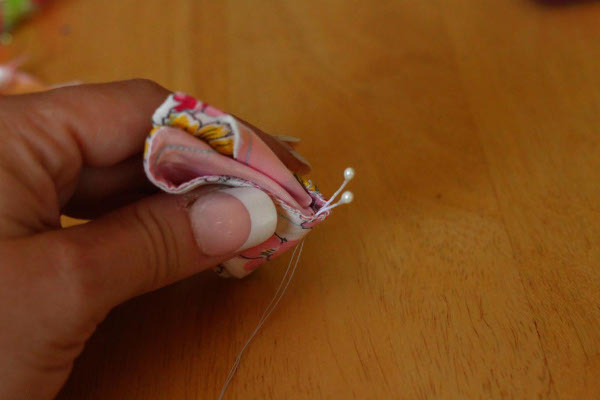 Insert the folded point of the stamen between the back and front layers of the top of your butterfly, and sew into place with your needle and thread. 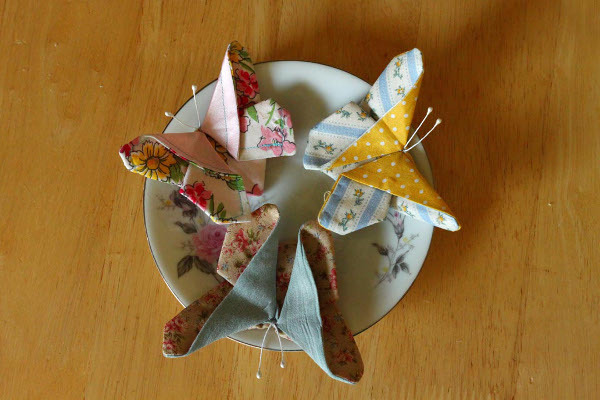 Sew or glue a pin backing onto your butterfly to make a brooch. 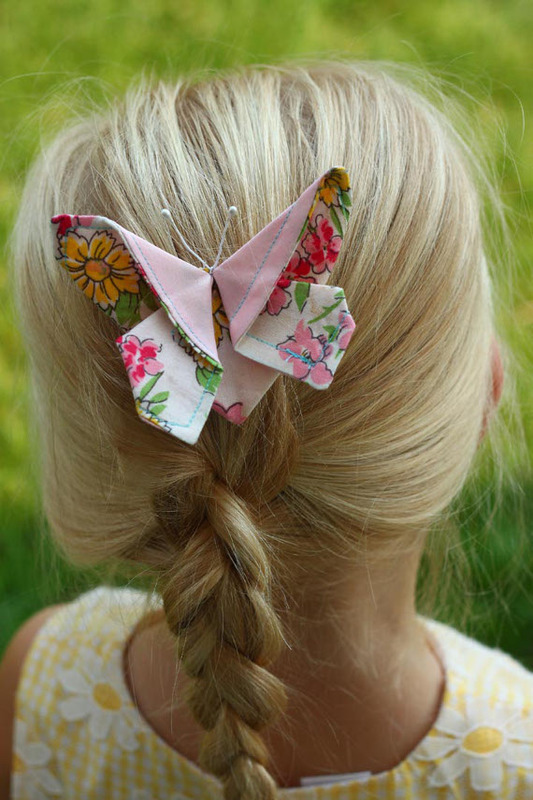 Sew or glue onto a bobby pin or barrette for a cute hair accessory. 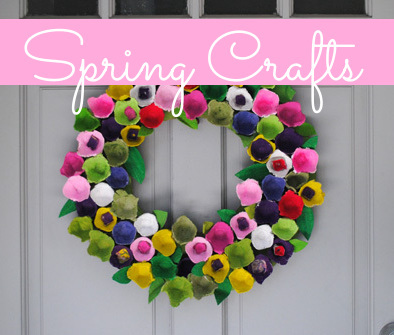 Use them to decorate a wreath or flower arrangement. 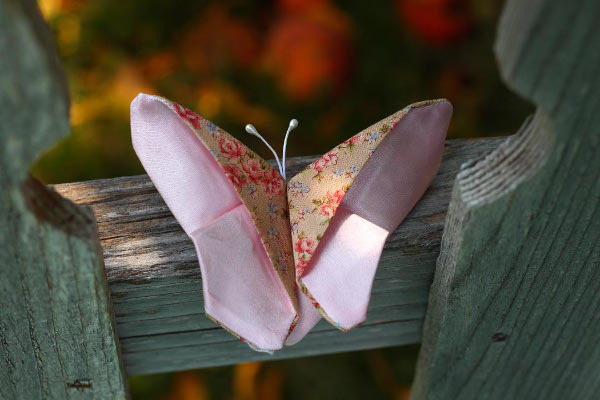 What creative ways can you think of to use these fanciful fabric butterflies? 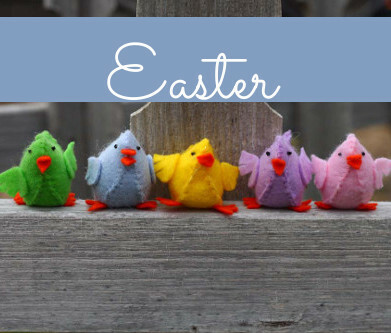 This entry was posted in Accessories, Back to School, Crafts, Sewing, Spring, Summer and tagged Hair Accessories, Scrap Fabric on August 18, 2015 by Michelle. Am designing a garden quilt as a gift for my husband and have just found the PERFECT 3-D embellishment! Thank you sooo much!! 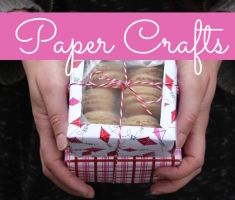 These are adorable and I thank you for sharing your creation along with instructions! These are lovely! 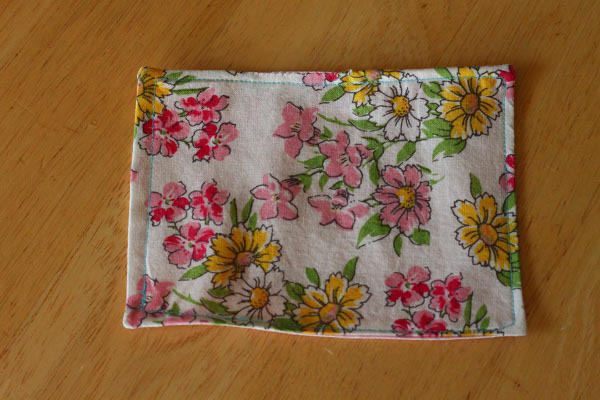 I have a small pile of my mom’s old hankies and I’m going to use a few of them to try this. It would be a wonderful way to remember her…she loved butterflies! These are adorable! Thank you for the tutorial. I love this pattern designed by Julie Creus at http://www.latodera.com/product/butterfly-brooches-pattern ! I have made several of them which I wear on my shoulder. I LOVE the idea of using butterflies in hair! Flowers over and over get a bit boring. Thank you for this great idea!